Don't get me wrong, it's a beautiful flower. But 'Apple Blossom' can be acquired, cheaply, from every big box and discount store around. I already have at least two of them, besides this one. If I'm going to spring for mail-order Hippeastrums, I want something special. If I'm going to spring for mail-order anything, I want to receive what I ordered. I'm considering writing to the vendor, and requesting a replacement bulb. If I do, I'll share the outcome here. On to another, more pleasant topic. As if owning a Chia Pet wasn't enough in the way of plant novelties, I went and bought myself a "Resurrection Plant". This is the name given to Selaginella lepidophylla, a native of the deserts of Mexico. This plant dries up almost completely during the dry season, only to "resurrect" itself when moister weather arrives. Since I am a fan of the genus Selaginella in general, I thought I would give it a try. I am greatly amused that this species can survive desert conditions, while I have only been able to keep its relatives alive in a lidded terrarium. A dried Selaginella lepidophylla, placed in a shallow bowl of water, as per the instructions on the package. 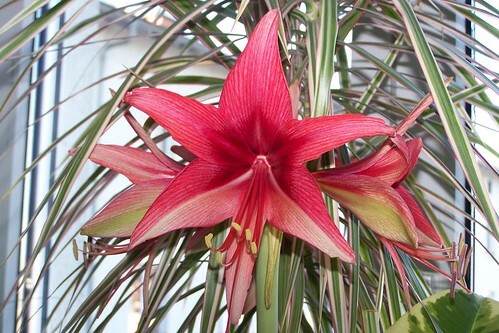 One is supposed to wait 24 hours for the plant to unfurl and rehydrate completely. I've also heard that they are short-lived as houseplants. As with Chia Kitty, I will post updates as things develop. I had a resurrection plant that became an unpleasant combination of dried-out and moldy. I just couldn't get the moisture level right after the initial unfurling. Made me sad; I love Selaginellas! 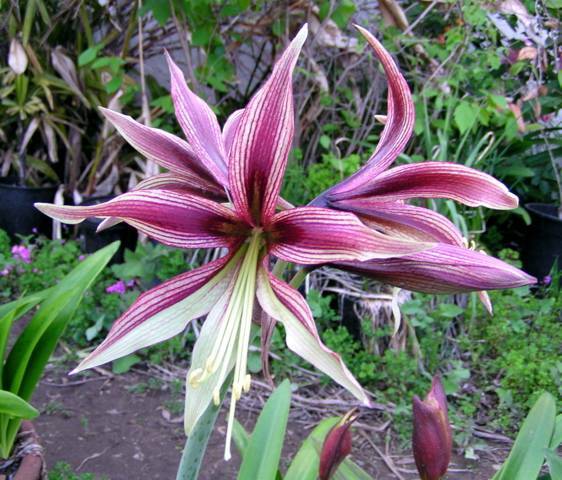 I had a similar experience with my new hippeastrum this year. It was supposed to be 'Lima' - this is what I got instead. But at least it's not a duplicate of something I already have. And like Diane's, my resurrection plant got mouldy. But then, I never really liked it much in the first place. Well, the resurrection plant is just something to do for fun; January is such a boring month. I'm typically not good with striking a moist/dry balance with my plants, so it probably won't last. Ivynettle: 'Lima' is really nice, but I love the cultivar you got instead. That's absolutely gorgeous. 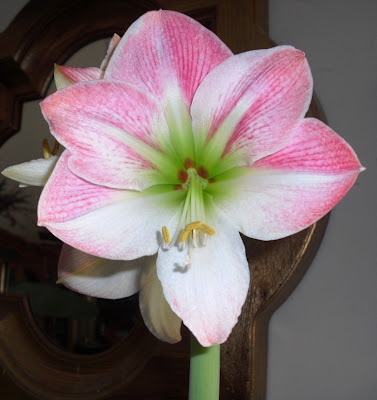 I would have been happy with my mistake Amaryllis if it had been something interesting. After a bit of poking around, I discovered it's probably 'Bogota' - which sort of, kind of explains the mislabelling, but seriously - just because they're both South American capitals doesn't mean they're interchangable!